The embarcadero at San Pedro seems to have the dubious honor of changing hands more frequently than any other location in California during the Mexican-American War. Overall, the occupation of San Pedro changed 7 times in 6 months without a single casualty (killed or wounded) on either side from unfriendly fire (see Note). 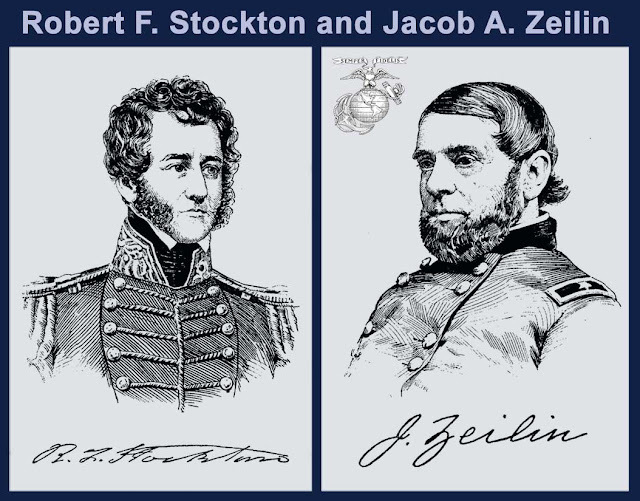 The American flag was first raised at San Pedro by an advance guard under Marine First Lieutenant Jacob Zeilin, who captured the embarcadero for Commodore Stockton on August 6, 1846. 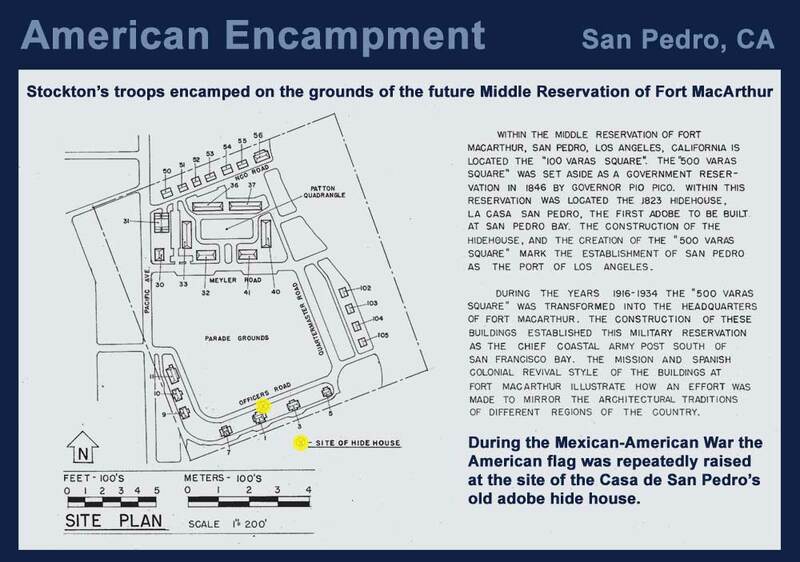 San Pedro then served as the base camp for Stockton’s forces as they prepared for the march on Los Angeles and remained under nominal American control (there appears to have been no garrison at San Pedro after Stockton left the area on September 5, 1846) until it was abandoned by Marine Brevet Captain Archibald Gillespie following his retreat from the Siege of Los Angeles. 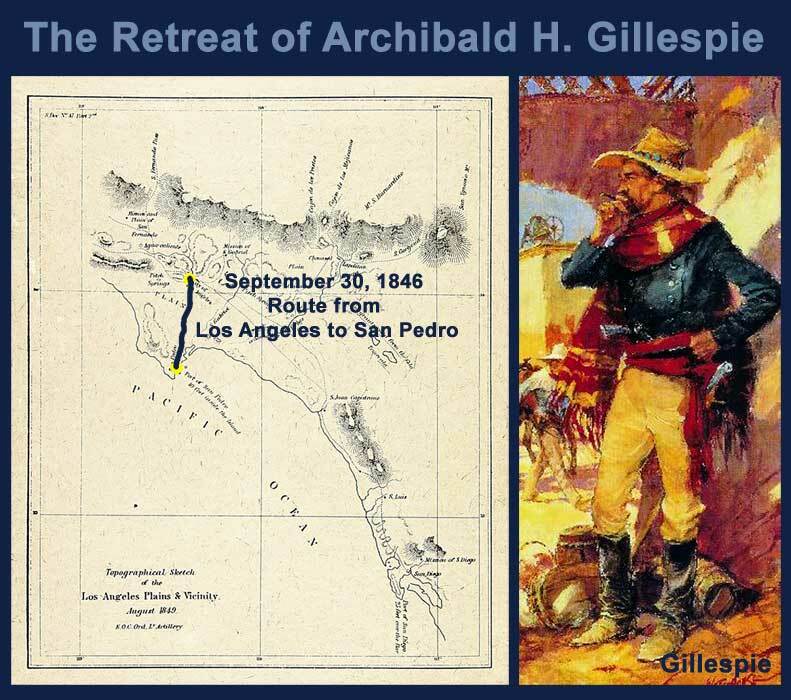 Gillespie (with his American volunteers from Sonoma and refugees from Los Angeles) reoccupied San Pedro on October 1, 1846 but left it on October 4, 1846 to take refuge on a merchant ship anchored in the harbor. 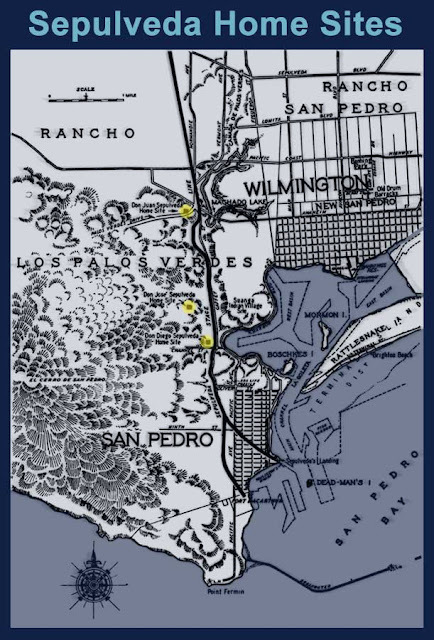 San Pedro was then occupied by the Californians until Captain Mervine arrived and landed a combined force of sailors, marines, and volunteers on October 8, 1846. For 2 days, during Mervine’s failed march to recapture Los Angeles, San Pedro was garrisoned by sailors. 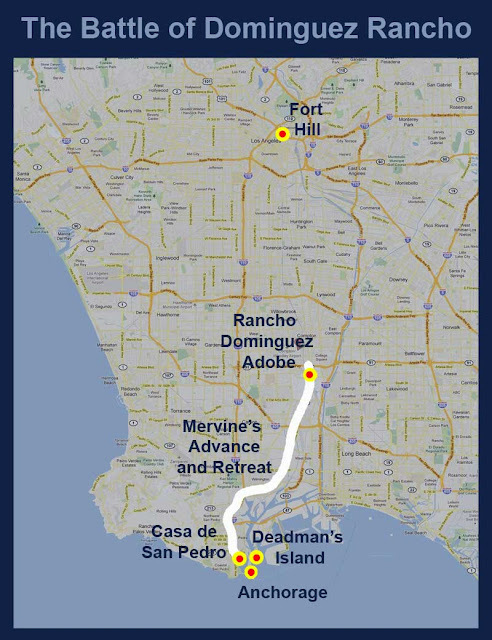 After their defeat in the Battle of Dominguez Ranch, Mervine’s forces abandoned San Pedro on October 9, 1846 to take refuge on the USS Savannah anchored in the roadstead. The Californians then reoccupied San Pedro from October 10, 1846 until Stockton’s return on October 23 or 26, 1846. Sailors and Marines from the USS Savannah and USS Congress landed and re-raised the American flag at San Pedro on October 24 or 27, 1846. The Americans encamped at San Pedro until October 29, 1846, but then abandoned their base camp and the harbor on October 30, 1846. 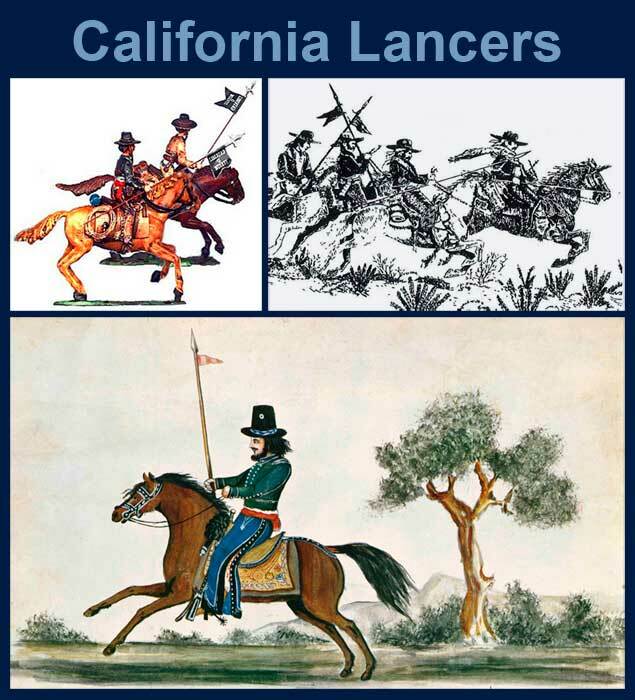 The Californians then reoccupied San Pedro until the final fall of Los Angeles and the Capitulation of Cahuenga on January 13, 1847 (though the date American occupation forces actually returned to San Pedro, by land or sea, is not recorded). 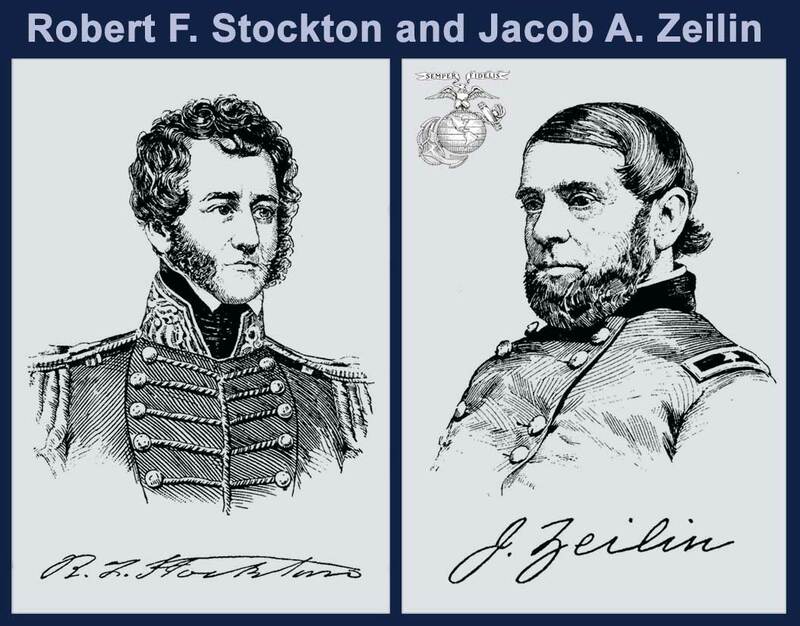 During the occupation period San Pedro seems to have been intermittently occupied by sailors or marines from a supply ship in the harbor and soldiers from the Mormon Battalion in Los Angeles. Nice. Does Fort Mac have any trace of the old Adobe still left? By the early 1900s only old-timers remembered having seen the ruins. The LA Public Library Image Archive has one photo of the ruins. Today there is an historical marker in the approximate location of the 1823 hide house (California Historical Landmark No. 920). Thanks for sharing the history taking and retaking of San Pedro with us.Its so informative to know about its story. I found it so much interesting.